Tua Tagovailoa has been all that and then some at quarterback for the University of Alabama through nine games this season, but the Crimson Tide needed every effort from Jalen Hurts in 2017 to knock off Mississippi State at Davis Wade Stadium in Starkville, Miss. 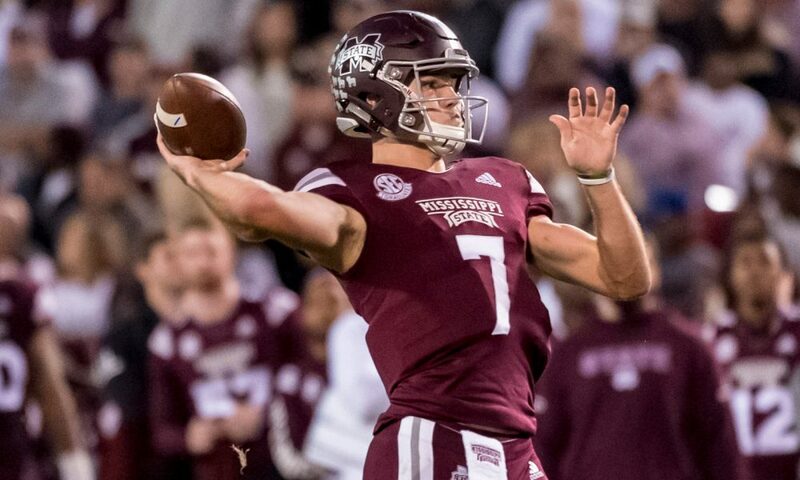 Nick Fitzgerald watched the Bulldogs’ seven-point advantage, 24-17, evaporate in the fourth quarter as the native Texan guided Alabama’s offense to a pair of scoring drives – including the 26-yard, game-winning strike to DeVonta Smith with 25 seconds remaining. Smith’s touchdown did more than quiet the crowd, it negated an exceptional performance from Fitzgerald and Mississippi State’s offense. He knew an upset was within his grasp, and after letting it slip away, the senior quarterback knows what he must do in heading to Tuscaloosa. Upon being interviewed about last year’s battle, Fitzgerald gives praise to the Tide in being a well-coached team yet he knows what could have been. The challenge facing Mississippi State is handling Tagovailoa. He has been virtually unstoppable all season, tossing 27 touchdown passes to just one interception and accounting for 30 total scores. Scripting plays for him has been simple for Michael Locksley at offensive coordinator, especially with how Tagovailoa has Alabama averaging 51.3 points and 565.6 yards per game. One thing Fitzgerald is not doing is taking the LSU approach to this game. Quarterback Joe Burrow and company were all talk prior to the matchup, yet could not perform under the lights. Fitzgerald, on the other hand, has taken the route of complimenting Tagovailoa’s success as a starter in the Southeastern Conference. As he carries a 6-3 group into Bryant-Denny Stadium, Fitzgerald’s passing numbers have improved in the last couple of weeks. He turned in a stunning display against Texas A&M, 329 total yards and four scores, and will need that performance to have a shot versus Alabama.